Hello there, my name is Dona Marie! 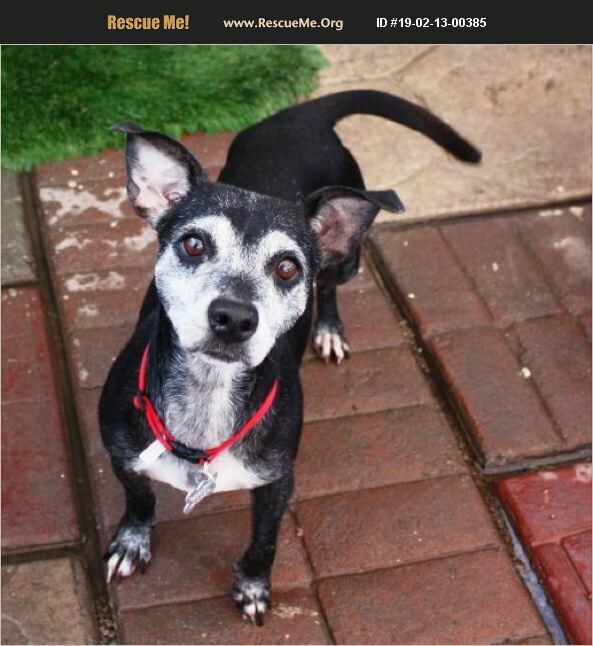 I am a spunky 7 year old Chihuahua mix looking for a new best friend. I weigh 21lbs and I am full grown -- perfect size as I am not too big and not too small! These people at the shelter are pretty cool but I would much rather be in my own home where I can have all the attention to myself, I am not fond of doggie friends. Don't let my age fool you or the silver highlights, I just had those done before my trip to Arizona in October last year! I am originally from Texas where everything is bigger which means my hunger for activity is the size of a marathon runner! I was found as a stray where they took me into the Palm Valley Animal Center, then I got picked to ride on a transport here to AZSDR. I am a volunteer favorite, I was also in foster for a little while and she said I was the most affectionate and loving dog you ever did meet. If you are afraid of kisses and cuddles, I can help you over come your fears instantly! I love people of all shapes, sizes and ages! People are my favorite, which is why I am so excited to find my best friend! I am very well behaved, I am house broken, kennel trained, I walk great on the leash and I also love car rides! I would do best in a home with a yard, no apartments please. I am the perfect gal to take along for hikes and long walks around the neighborhood -- but I have to have a strong hold by my owner as I don't like dog friends. With me as your best friend you won't ever have to spend a holiday alone or night without a cuddle buddy. Come in to the shelter to meet me and put in your application to be my forever best friend! Dona Marie is spayed, up to date on vaccines, microchipped, and vet checked. Her adoption fee is $180 and comes with 30 days of free pet insurance, and comes with a free vet visit. Come to our location at 1102 W. Hatcher Road in Phoenix 85021, open Tues-Sunday 11am to 6pm. On weekends, give us a call for the dogs location as we have off site adoption events that some of our dogs attend, 602-944-2440.